The first part of this series looked at how AS, a radical socialist economist in his young days, was converted to a free market economic thinker. The second part dealt with how he took forward the mission of the Bank of Ceylon, as its GM, to transform it from the elite’s bank to the common man’s bank. His transformation was supported by his studies at both the London School of Economics and Harvard University and his association with the world-renowned economists he met at both places. 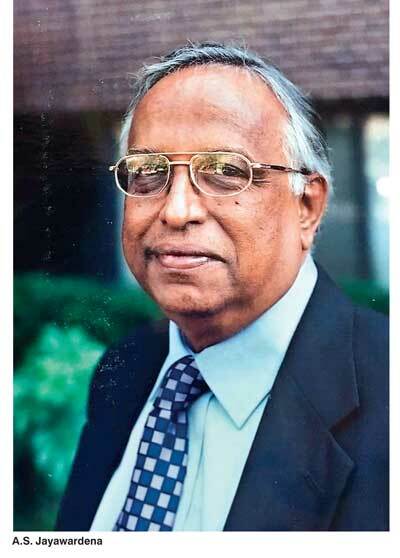 The discipline he had got at LSE had helped him to work with Colvin R de Silva, a diehard Marxist, cordially as his advisor at the Ministry of Plantation Industry. Colvin, despite his socialist thinking and inclination, was a pragmatic thinker. His advice to AS was that the plantations were Sri Lanka’s national wealth and that wealth should not be destroyed by uneconomically breaking up and distributing to interested parties. Thus, AS was able to change the views of planners of the day who held very strong views as converting the newly nationalised plantations into ‘collective farms’, a very popular economic policy measure at that time. At BOC, he continued with the policy of the Bank to enter rural and remote areas with new banking products. One was pawning as a method of providing working capital to farmers between the cultivation and the harvesting periods. Another was extending agricultural credit to farmers through its new Agrarian Service Centres. It was a difficult mission for AS for two reasons. First, it was a politically turbulent time where the opposition had been agitating in the streets for early elections. The other was that he had to deal with a Minister of Finance who had believed that the he could do anything under the Sun. Yet, reports indicate that the Minister did not interfere with the administration of the Bank unduly leaving it to the Chairman and GM. Hence, AS was able to play an apolitical role at BOC. After the change of the Government in July 1977, AS returned to the Central Bank in December 1977 and was appointed as the Director of the Bank’s Economic Research Department, a position commonly known as DER, from January 1978. But he had to head an Economic Research Department sans its ‘statistics compilation part’. That part had been under its purview ever since the Bank had been established in 1950. But when AS became DER, it had been divorced into a separate Department of Statistics. The logic for the sudden divorce, as the Central Bank had claimed at that time, was that Statistics would compile statistics and Economic Research would analyse the same. However, AS could function as DER only for two years. In 1980, he was packed and sent to IMF as its Alternative Executive Director by the Government opening a new career chapter for him. The post of DER is a prestigious position in the Central Bank. That is one of the two Departments mentioned by name in the Monetary Law Act or MLA which the Bank should necessarily have in its organisational structure. The Head of the Department is designated in MLA as Director with powers to call for information from any institution including governmental bodies. Failure to comply has been made a criminal offence in MLA. DER is also the only officer who can attend the Monetary Board meetings as a right according to MLA. Hence, by implication, DER is the technical advisor to the Monetary Board; by the same argument, since the Monetary Board is the technical advisor to the Government, by implication, DER is the technical advisor to the Government as well. Hence, the person holding the post of DER in the Central Bank should be an economist par excellence with wide knowledge on both the local and global economic conditions. John Exter, the architect of the Central Bank, has elaborated on the importance of ERD in his report to the Government as follows: “The Department of Economic Research is given special recognition in the draft law in order to emphasise its importance. While there may be a tendency in highly developed countries to attach too much importance to economic research, the opposite is more likely to be true in underdeveloped countries. It is to be hoped that the Central Bank will be able to demonstrate in Ceylon how much a properly organised and adequately supported research unit can contribute to the formation of policy. It may not be too much to say that the solid achievements of the Central Bank in the years to come will depend as much upon the successful development of this department as upon anything else” (p 17). Hence, DER is not expected to function as the mouthpiece of the Government in power or the Governor of the Bank. He should be an independent, impartial and objective economist who would guide the Monetary Board and the Government in the correct economic path. At the time when AS became DER, Sri Lanka’s economy had begun to undergo a complete change in its policy stance. AS called it “a watershed in economic history of the country”. Modern economists might call it ‘a paradigm shift’. This was because the package introduced in late 1977 was a complete departure from the policy package that had been in place in the previous periods. One of the responsibilities of DER is to prepare the annual report of the Bank which the Monetary Board submits to the Minister of Finance. The contributions to the annual report come from various divisions suitably edited at various levels. But Chapter 1 of the report has been a prerogative of DER, permitting him to present his own economic philosophy, analysis and way forward suggestions. AS used this opportunity to bring forth a constructive criticism of the policy package that was discarded and the one that was just introduced. While highlighting the weaknesses of the discarded one, he critically examined the new package and laid out the essential ground conditions that had to be put in place for it to succeed. In the Annual Report for 1977, he made the following comment on the sluggish industrial growth of the country: “There has been a strong emphasis on the public sector with regard to investment and raw material allocations in recent times; but the productivity of the sector has been much below expectations. This can be attributed to monopoly power, lack of incentives and of managerial expertise and heavy handed interference in production, pricing and employment policies. These problems have to be resolved if this sector is to be made efficient.....Many public sector enterprises make financial losses on account of uneconomic social obligations (such as regional development, price restraint to keep cost of living low) thrust upon them; and in such instances, financial profitability would not be a reliable indicator of efficiency.” (p 2). AS also commented on the predicaments which the private sector had to undergo in that state sector-led industrialisation policy era. He said: “On the other hand, private sector industry was faced with endemic problems of bureaucratic controls over raw material and machinery imports.....Those industries, by and large, have been protected for too long, sometimes enjoying considerable monopoly power and, as a result, have tended to be unenterprising and inward-looking.” He had therefore welcomed the liberalisation of the import of raw-materials and machinery by the new Government. Sri Lanka had maintained a fixed exchange rate system for nearly three decades since independence. This fixed exchange rate system could not survive after 1960s when the country had started to experience widening gaps between its foreign exchange inflows and foreign exchange outflows, a situation known as having a continuous deficit in the balance of payments. Under ordinary circumstances, the exchange rate has to depreciate in order to eliminate the deficit automatically. But, since the country had maintained a fixed exchange rate system, the rupee had been overvalued against foreign currencies. Despite this, the Government of Sirimavo Bandaranaike, on instructions from its powerful Minister of Finance, Felix R. Dias Bandaranaike, had revalued the rupee by 20%, as a political strategy to win the elections. AS, in the Annual Report for 1977, had faulted the Government on this count. He had remarked that the revaluation had been done by the Government. He said: “Although there was no clear evidence that the improvement in the payments position was due to any structural strength in the economy,” (p 3). Hence, the new Government had to allow the rupee to depreciate substantially, from around Rs. 8 per dollar to Rs 16 per dollar. As a consequence of this massive depreciation, the rupee value of the country’s foreign assets too increased significantly. But that increase was not a matter for rejoicing since, as the Annual Report 1977 had remarked, a fair portion of the increase was due to revaluing the external assets by using the depreciated exchange rate. AS had diagnosed the main malaise in the country’s economy and summarised in the Annual Report for 1977. Sri Lanka had been successful in the past in containing population growth and achieving a more equitable distribution of income. However, the slow economic growth recorded by Sri Lanka had not permitted the country to sustain these achievements. Thus, the Annual Report had commented: “The new economic policy (of the new Government) stemmed from a basic diagnosis of the malaise, namely, that a continued allocation of a large volume of resources to consumption was inimical to economic growth and generation of employment; that the rigid control system that had been built up over the years had seriously distorted the relative prices, and had dampened private sector incentives; that the public sector which was fostered to fill the vacuum had become wasteful and complacent and that successive governments had failed to take corrective action but had resorted only to short-term palliatives which had only compounded the problems,” (p 4). Thus, according to AS, the solution lay in Sri Lanka’s shifting of a large volume of resources from consumption to investment. However, he warned that the success of the corrective measures by the new Government would depend crucially on its ability to carry it to its logical conclusion and the speed at which the new policy would bring about an increase in output, incomes and employment. It was also necessary, according to AS, for various Government machineries to fully understand the thrust of the new economic policies being pursued by the Government in order to ensure mutual consistency of the policies adopted by them. This position was further elaborated by AS in the other Annual Report he had produced. Accordingly, in the first part of the Annual Report for 1978, he marked 1977 as a clear watershed on the economic history of Sri Lanka. Why did he say so? That was because the policy package had turned the country “away from a predominantly inward looking, tightly controlled and welfare oriented strategy to one which primarily emphasised export growth, competition and higher capital investment for economic growth and employment generation. The year 1978 was the first full year under the new economic regime, and several problems in adjusting from a controlled regime to a liberalised one were evident. But the spontaneous and immediate response of the economy to the new economic policy in achieving a high growth rate was the most encouraging feature of 1978,” (p 8). AS’s reference here is to the real growth rate of 8.2% which Sri Lanka’s economy had attained in 1978. But this high growth could just be one off event and not one that could be repeated successfully in the years to come unless the country had gone for a comprehensive economic reform program. Thus, AS advised the Government in the same Annual Rate as follows: “In the immediate future and in the long run, the maintenance of such a growth momentum would require a higher level of savings and investment and further policy decisions aimed at fostering economic growth. A difficult trade-off between the interests of consumers and producers would be required. Remaining monopolistic powers and non-productive controls would have to be whittled down. An acceptable balance between growth and equity will have to be worked out. The economy, in its performance in 1978, has clearly shown that, given appropriate policy climate, it has the potential of moving to a path of sustained economic development,” P 8). The subsequent evidence has shown that this is where the Sri Lankan authorities had faltered. Instead of continuing with the liberalisation and reform program, it was stopped in midway stream and was not carried to a logical conclusion as AS had desired. The Government in power had relied on its investment in irrigation infrastructure and not on economic reforms for generating wealth and prosperity. The result was that the high growth reported in 1978 was just one off-event and could not be repeated subsequently. Even as early 1990s, the country’s economic reform program was practically at the same stage as it was started in 1977 and 1978. It was thus left to President Chandrika Bandaranaike Kumaratunga who advocated for a market economy with a human face in her bid for Presidency in 1994 to carry it to a logical conclusion. In her Government, AS was the Treasury Secretary for the first two years and Governor of the Central Bank for the remaining period. His contribution to economic policy reforms during this period will be discussed in a later piece.